“How My Marriage Almost Fell Apart, and What Saved It”. Story of a Priest. Two years ago, my spouse died. This story is about her, about me. And about our struggle for love. What is it that Makes a Marriage Endure? 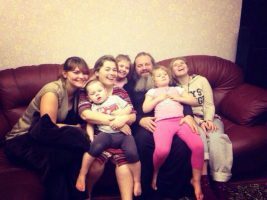 Priest Igor Spartesny, cleric of St. Sophia Church in Middle Sadovniki, Moscow, and father of five children. We were far from a harmonious couple at first. 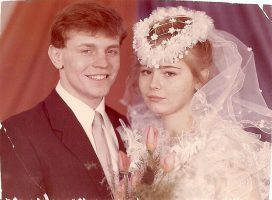 When we got married, we were young, distant from the Church and even from the thoughts that someday we would become a priest and a presbytera, parents of many children. The first ten years of our family life can be described in one word: a fight. We had children very soon, so for many years Sveta had to devote her entire self to housekeeping. Having given birth to the first, and then the second child, having thrown herself into washing, ironing, cooking and caring for the kids, Sveta realized that she did not want such “happiness”. She, a straight-A student with two honors’ degrees ahead, was plagued by a daily routine. Fights began literally for any reason. Of course, she did not break the dishes, but not a single second at home went without yelling. It is funny to remember now, but even not taking the trash out in time could be a valid reason for a rough fight. I worked as a miner, so Sveta and I moved from the town of Marinka, Donetsk Region, to Norilsk. I was working in the factory at one of the most hazardous positions, having to wear a gas mask all day. By evening, I only had that much strength to get home. And there was my spouse, endlessly accusing me of being inconsiderate and not pitying her. So I snapped at her, and, of course, we reconciled, I asked for forgiveness, only for the situation to repeat the next day. Eventually, we started talking about divorce. Today it is hard to even imagine, what my beloved presbytera was going through on her way to personal and spiritual development… I always loved her, however, from our very acquaintance, and could not even think about divorce or a second marriage: I got married once and forever. I really wanted to stop the nightmare that our house life was. But I did not know how. Relationship hardships, constantly being on the verge of divorce probably pushed me towards the Church. I believed, started going to church, and soon found a spiritual father. It took Sveta a long time to accept that, and for some time my becoming a practicing believer only made the matters worse. Ultimately, the moment came, when she definitively decided that she could not live with me anymore and should apply for a divorce. This was a tragedy for me. I cried all night and prayed to God like never before, so that He would solve everything. The next morning, when we woke up, Sveta suddenly said that she had changed her mind about divorcing! And for the first time in our entire family life, she admitted to being wrong and asked for forgiveness. She stopped getting annoyed at my praying at home, and soon went to the service herself for the very first time. Although she did not stay until the end, I felt that something in her was changing. We started talking about God. Then she confessed, took Communion, and agreed to meet my spiritual father, Archpriest Vladimir Volgin. 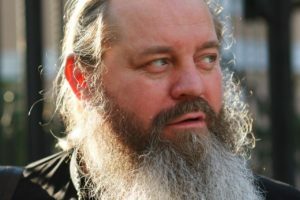 Our life changed radically after that, and by the time we moved to Moscow at the invitation of the archpriest, both of us were believers. I found a job at St. Sophia Church in Middle Sadovniki, eventually became a churchwarden, and started preparing for my priestly ministry. Our fights, however, did not cease at that. Sveta was still dissatisfied with everything, and I was angry: both churchgoing people, everything was fine, but we kept lashing out at each other. – Do you ask Svetlana for forgiveness? – Of course, I do. – Well, I just don’t like to complicate things. I do not appreciate this aggression between us, and it is easier for me to take the first step myself so that it all ends. – Isn’t the wife at fault as well? I agreed, for in most of our fights and quarrels, I really did not feel guilty and asked for forgiveness just to defuse the situation. – I do not allow you to ask your wife for forgiveness. – But Father, then the fight might not end at all! – No. Even if you are guilty, the wife should not turn every day into a fight. Thus, if the tantrum is thrown, you shall not ask for forgiveness, but rather wait for Sveta to apologize instead. And I only bless your talking with her only when she asks for forgiveness. – But Father, there is no way she will apologize! For all our life together, she almost never did! – So how are you going to become a priest if you do not have a spouse?.. The obedience did not wait being carried out for long. Yet another fight started that very evening: it turned out that morning I forgot to take out the garbage. Every evening we put a bag near the door, so I took it with me on my way to work. If I forgot to do so, the bag, of course, eventually started reeking, the neighbors expressed discontent, so my wife had to go to the dump together with the children. Naturally, she descended on me in the evening. In short, Sveta, as always, threw a tantrum, then calmed down and asked if I would eat. But I was forbidden to talk to her! – What’s with the silent treatment? Sulking in? – and, as if nothing had happened, she carried on with our children and housekeeping. – What’s wrong? Still not calmed down? She turned around and went about her business yet again. I realized that in order not to stay hungry, I would have to have dinner in the temple. On the third day of my silence, the priest called me to ask how things were going. – I cannot live in this hell anymore! I love my wife, I love my children, and I cannot hold a grudge against everyone! – I begged. – You actually do display your love now. Didn’t you notice there was not a single fight in the house these three days? And truly so! Everyone went about their household chores quietly, I did my chores, she did hers, and nobody plagued anyone. – No, not everything is alright. – Are you fine with what is going on? – With the silent treatment? No, not at all. – Then why won’t you meet me halfway and do not want to reconcile? – Maybe I should also ask you for forgiveness? – Who do you think you are?! I resented it very much: how long could these fights last? But I prayed. And I have no doubt that my spiritual father also prayed for us. And Sveta too, after all, was a believer. Sveta let me know everything she thinks of me, and went to the kitchen to cry. She cried loudly. But I was silent. It is now scary to return to that state even in my thoughts: driving the person I love to tears and doing nothing to calm her down. I went to the kitchen to fasten a stool leg just to stay near Sveta. She washed some pan for the sixth time over and cried. – No. I will not. – Because your plea is not sincere. – Oh, so you need sincerity?! – yet again, screaming, tears, tantrum. – For real, now. Forgive me. At this point, both of us drowned the room in tears. At that moment, I felt the power of obedience at its strongest. If you did entrust your spiritual father with yourself, if you asked him for help, be so kind as to do what he tells you. Should I have failed at any stage of this obedience, the fights would probably never have ended. I realized how many of the priest’s words went past me. From the very beginning, he asked me not to annoy my wife with my faith – the time would come for her to reach out to God herself. But I did not listen. Every now and again, leaving home, I would ask her to pray for me, or would deliberately start reading my evening prayers aloud, turn on hymns or bell ringing, so that Sveta would hear, but she would only get angry at it. I remember how I constantly asked her to quit smoking, because for me it was already a sin, but she only smoked more. I did not even notice how I was slowing down her movement towards God. As I backed off, however, she came to faith in a month. That evening was a turning point in our relationship. Since then, we no longer argued on who was better, who was more important, who worked harder, or who got more tired. Sveta simply recalled those few days of horror and timely stopped. I want to make a disclaimer: I do not encourage anyone to take a leaf from this story. It is individual and applicable strictly when there is a blessing of a spiritual father. Things could collapse at any given moment: after my “I will not forgive you”, Sveta could simply break our relationship once and for all. I was just obedient to my Father. In our case, this situation became a test of strength, which we both passed. – Hi! Come on, take your clothes off, we were just going to have supper. – Aren’t you mad? – I asked. – I forgot to take the trash out. – No, I’m not mad. I did it myself. – Wait, how come – not mad? – I did not believe my ears. She sat, looked at me and smiled. And I understood: right then, after ten years of work, our real family life began. And I was not mistaken: something in my wife’s heart changed, and she finally let me in there. 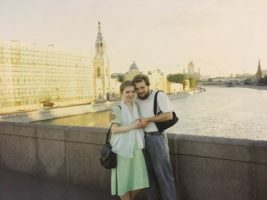 So, when several years later I received a blessing to become a priest, to which I had been walking for so long, Sveta completely shared the joy of the moment with me. Before my wife and I began to build the life of our family in a Christian way, I, just like the most men, considered it my primary duty to bring money to the family. 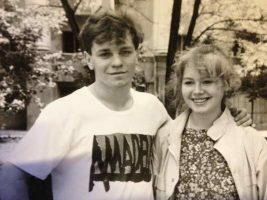 And Sveta took care of the home life: all calls, contracts, papers, instances, school meetings, the doctors — everything was on her, and although it was a burden for her by her nature, with time, she became a real problem-solving professional. The children, too, learned that dad was never up to date and that all the issues were to be solved with mom. At some point, however, I realized that, as a Christian, as a head of the family, I must lift at least half of these duties from my wife and, for a start, called the passport office and found out everything I needed. It is true that it all took me three times longer than it would take my wife – but I saw such a grateful look! Then I said I would go to a parents’ meeting myself. Sveta was amazed. Being the only man to attend the meeting, I became a hero in the eyes of all the moms at school. And how happy the children were! Gradually, I came to solving family problems myself: at times, clumsily, at times, cunningly, asking Sveta what she would have done; at times, I consulted my older comrades – but I took the punches myself. With time, in all the domestic matters, I became no less of a professional than my wife was. Overpowering myself once, I won the authority that I had been seeking so long for. Then I realized that I wanted to show Sveta those sides of which I did not even know myself yet, dedicate to her things that would make her fall in love with me over and over again. It is hard for an F-student in life to impress an A-student with their knowledge. Sometimes, in order to show it off in front of her, I had to read the books I did not like at all. I remember how I suffered through reading The Decameron, Jane Eyre… But for the sake of my wife, I, a former flunk and an athlete who had never really read classical literature, made an effort. 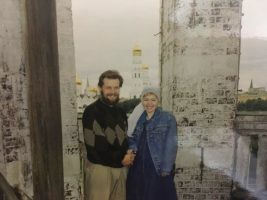 A year later, we were visiting Father Vladimir to celebrate the 23rd anniversary of his marriage. I remember how the father surprised me, admitting that even though he had always loved his spouse, it was only then that he started to comprehend what marriage is, and that after so many years he experienced a completely new feeling of love for his wife, a feeling he did not know before. Then I thought: my wife and I have only been together for 11 years, and I was literally in heaven! What could be greater than that? Only when we ourselves came to that very milestone, I began to understand what the father was talking about. Because only then did I realize what it means – to have eyes only for each other. Little did I know that I would not have long to pursue the love of my wife: my presbytera got cancer and passed into eternal life. The Lord did not give me a feeling of grief; He sent me a feeling of triumph. It seemed as though we did not bury her, but rather celebrated a wedding. Because we did not part forever. Because love is boundless.